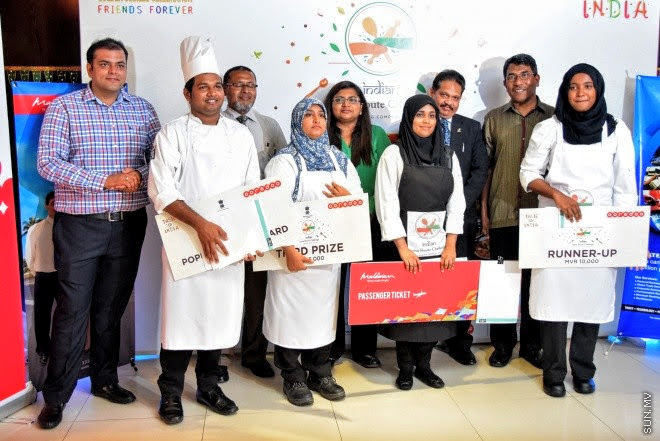 Hotel Jen Malé, Maldives will host the finale of the Spice Route Challenge 2015; a cooking competition of Indian Cuisine by Non-Indians at Azur Restaurant at the rooftop. The finalists who excelled at the semifinal round on 29 August 2015 are four aspiring Maldivians; Miss Aminath Abdul Rasheed, Miss Aminath Maeysha, Miss Aishath Shifa and Mr. Mohamad Ashrag. 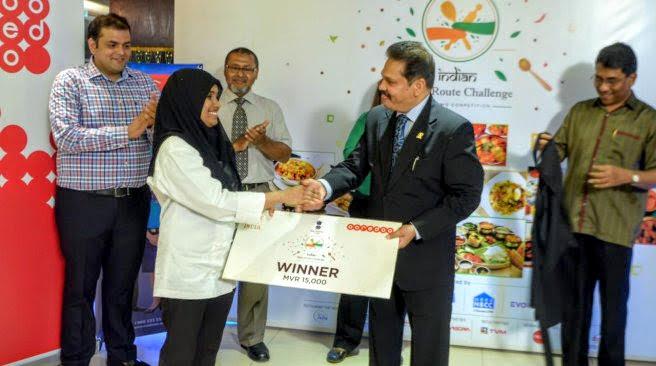 Hotel Jen General Manager, Ms Vathsala said “the finalists spend the last week at Hotel Jen familiarizing and working with their respective appointed buddy-chef of the hotel. 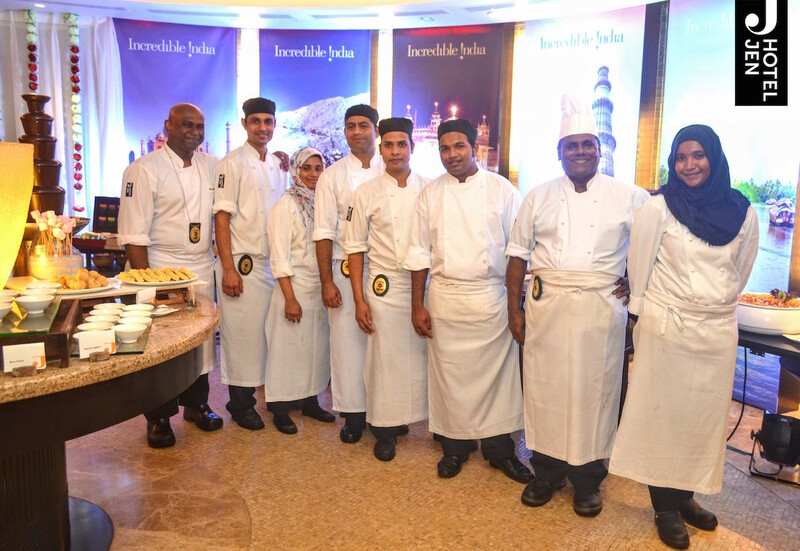 They worked along and featured their dishes daily in the recently held one-week long BollyFOOD festival at Lime which showcased cuisines of various regions of India.” And for their efforts, Hotel Jen will honor the Most Popular People’s Chef Title. This title is the choice of the people, our BollyFOOD daily diners at Lime, who cast their votes for their most favorite dish and chef-finalist. The finale today happening on the highest dining peak in the Maldives, at Hotel Jen’s Azur Restaurant will starts from 4.30pm with arrival of guests and competition proper from 5.00pm to 6.00pm. Judging and Prize Ceremony will take place between 6.15pm to 7.00pm at Lime Restaurant followed by celebratory refreshment. The Spice Route Challenge is part of a bigger program called “The Taste of India” which is a month long festival organized by the High Commission of India in Maldives in conjunction to Golden Jubilee Friendship Celebration between Maldives and India; with collaboration with Hotel Jen Malé, Maldives for second year running and new partner, the Faculty of Hospitality and Tourism Studies of Maldives National University. This festival comprises of a series of activities from August 2015 including Spice Route Challenge, Kitchen Khiladi, Cultural Events and the BollyFOOD festival hosted by Hotel Jen from 7th to 11th September 2015. Ms Vathsala concluded saying her special thanks and appreciation to the partners High Commission of India and the Faculty of Hospitality and Tourism Studies and also the sponsors including Ooredoo, State Bank of India, NBCC, Salsa Royal, Residency Resorts, Taj Exotica, Maldivian, Mohan Mutha, Agora, Coco Cola, Nisran Pvt Ltd, TVM and Maldives Gas who kindly provided the gas cylinders for the finale and the priceless efforts of all local media throughout this month long festival.